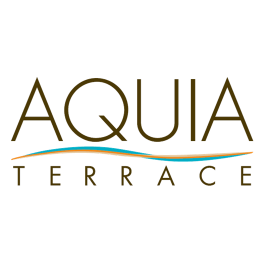 Welcome home to Aquia Terrace, Stafford's best-kept secret for your rental apartment home needs. Located minutes from Quantico Marine Corps Base and Triangle, VA and just off Route 1, Aquia Terrace is nestled quietly within walking distance of daycare, supermarket, post office, pharmacy, gas station, dining, and dry cleaners! Our apartments are also located close to metro Washington D.C. for long-distance commuters working in the city. Explore our site to learn more about how we could be a good fit for you. Start with our comfortable floor plans! Our spacious one-, two-, and three-bedroom apartment homes are all equipped with full-size washers and dryers, air conditioning, extra storage, a dishwasher, and more for you, your guests, and even your pets to enjoy. Find extra amenities, such as stainless steel appliances in renovated apartments, in select homes. We do all we can to think of your needs and wishes for a luxury apartment you can feel at home in and to deliver on that. We want to take the fuss out of apartment life, so you can also take advantage of credit card payments, electronic payments, military discounts, employer discounts, high-speed internet access, and more in a pet-friendly community that values you and your quality of life. Our property features a 24-hour fitness center, pool, and business center. Take a first look into what life can be like for you at Aquia Terrace by viewing our photo gallery showing apartments, community amenities, floor plans, and more. Contact us to set up an in-person tour today. You can also call for more information about great move-in rates and lease terms. You won’t regret making our quality, convenient off-base housing for apartments in Stafford, VA your new home. We look forward to meeting you and helping you learn more about life at our apartment community.